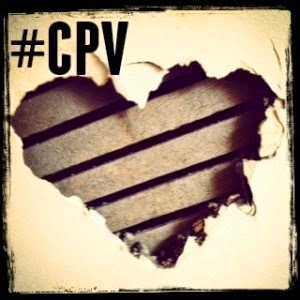 CPV or Child to Parent Violence has been the focus of a week long theme on The Adoption Social. It's one of those subjects that isn't easy to talk about; a sore point - because who really wants to admit that their child hits them? I've always been open about the violence that goes on in our home, I've written about it here before, on my Facebook page, and I think most of our friends and family know that the NC and I are on the receiving end of physical violence occasionally (though they might not know to what extent). My personal view is that it's nothing to be ashamed of, it isn't my fault and I can't expect help and support unless I speak about it. But that doesn't make it any easier to deal with. Other people find it harder to speak about, and I understand their reticence - will they be judged? Why should they speak out? What support can they expect? And to be honest, is there really anything that can be done? And I know that in those moments, those raw moments of anger, fear, shame, embarrassment, shock, even hate, that CPV is impossible to talk about, or even think about. In those moments, all I've been able to do is exist. Sometimes it takes an hour or two, others several days to be able to think about an incident, make any vague sort of sense out of it, and move on. And that's just me, let alone Mini and all that he's feeling or felt during it all. He's still too young to be able to reflect on it after. The newly launched Adoption Support Fund is there to access and perhaps it could pay for courses in non-violent resistance techniques, or DDP, or even private companies who can support and teach techniques to both children and their parents. But with doubts over how long the ASF will last, with no confirmed sources of funding after this initial wave runs out, relying on the ASF to provide continual and professional parenting development could be dangerous and short-sighted. And in these early days, it appears to be hard to access anyway with some adoptive parents reporting difficulties in receiving that initial assessment, a postcode lottery some might say. In fact, our own local authority has so far taken 4 weeks to tell us that they are unable to offer us the (statutory) assessment at the moment because of restructuring within the department. Well what a bloody brilliant time to restructure?! Not very well planned hey? So we don't know when we'll be able to move forward or how long it will take. And of course, there's the uncertainty over whether funding will be forthcoming, so we have to think about saving for private therapy/training rather than moving to a bigger house where we can improve safety and space. So why should adoptive parents speak up about their CPV experiences? 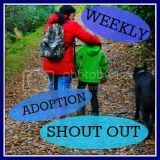 Well, as The Adoption Social's work this week proves, speaking up means others can (even if virtually) support you, empathise with you, share techniques with you. Our Twitter chat this week attracted a fair few participants, and many more lurkers watching the conversation and we know it made people feel less alone. People who had intended to just watch felt compelled to join in, and even those who had CPV issues going on right there and then, still came and said their piece when they could. There are perhaps some issues around language, and some express discomfort over this. However, discussing CPV is fairly new and whilst we all figure out how to talk about it, it will take time for language and terminology to be defined and refined, and re-refined. But that is, again, another reason to talk about it, let's make it part of normal adoption support type conversation, let's figure out how we want to speak about it and present that to Government, post adoption support teams, social workers and those that support us. Let us tell them what happens, and open up the conversations. If we all speak up, they can't not listen. They can't disbelieve in it. Thanks for putting this out there. I completely agree. For so long I have felt I have been battling everything alone, I now know after this last week's focus I am not, I am having a little tear!. CPV has invaded every part of our family and we are all effected by the fallout and yet help is not forthcoming or it is another battle to get it when you are already exhausted and as a parent trying to deal with it you are made to feel ashamed when you are doing everything you can just to hold onto your child. So just to say I hope this is the start of a real understanding of CPV, we have to be able to speak about it without fear of judgement, we need practical help not patronising. Unless you have been attacked by your own child you do not know how it feels and how it continues to feel everyday, I'm not brave enough yet not to be anonymous but I wish it wasn't that way. Thanks.